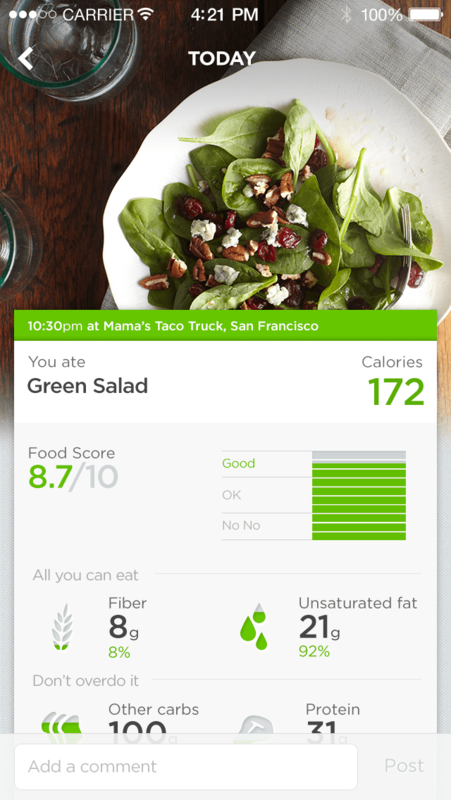 Like other apps with food-diary features, Up lets you specify items you’ve eaten from a vast database of choices. But now it’s smarter about helping you winnow them down. “25 percent of the meals people log are the same,” says Jawbone’s Andrew Rosenthal. “We’re creatures of habit.” So now the app provides one-tap access to items it thinks you might have eaten based on its knowledge of what you’ve eaten in the past. It also starts to fill in suggestions based on the time of day: “If you type ‘e’ in the morning you get eggs, and edamame in the afternoon,” Rosenthal says. 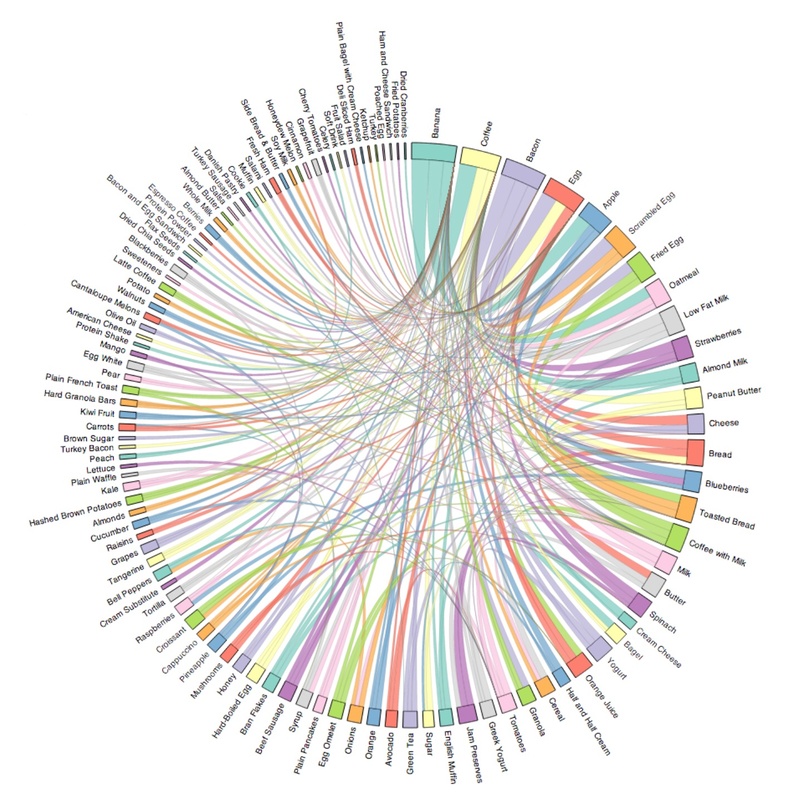 And other suggestions are based on the big data Jawbone has about what all Up users eat — if you’re eating eggs in the morning, for instance, there’s a pretty good chance that you’re also having toast, bacon, and coffee. The company has created its own take of the standard Nutrition Items box which appears on packaged foods: Jawbone’s version aims to make the data less daunting by doing things such as adding graphics and organizing the facts about a food item in order of desirability, with stuff like fiber at the top and sugar near the bottom. It’s also rated food items for overall healthiness on a scale from 1 to 10, with 10 being ideal. (A Triple Whopper With Cheese is a 3.0; an apple is a 9.5.) And it’s working with foodstuff purveyors such as Munchery and PlateJoy to automate the process of logging information about their meals in the Up app. Lastly, the new Up app weaves more food-related fodder into its “Today I Will” feature, which suggests customized, attainable goals for you. For instance, if it notices that you completed a long run in the morning, it might suggest a breakfast recipe with plenty of fiber. All these new features are a reminder of a basic fact about Up which is surprisingly easy to overlook: It’s not so much a wearable device with a companion app and service as an app and service with a companion wearable device. In fact, the only new hardware feature which the minimalist, screenless Up wristband has gotten in the nearly three years since it was introduced is wireless capability, which is built into Up24. But the app makes Up probably the richest experience of its type, and that’s only more so with this update. In a world in which other wearables are getting ever more fancy, Up has a powerful, distinctive strategy. 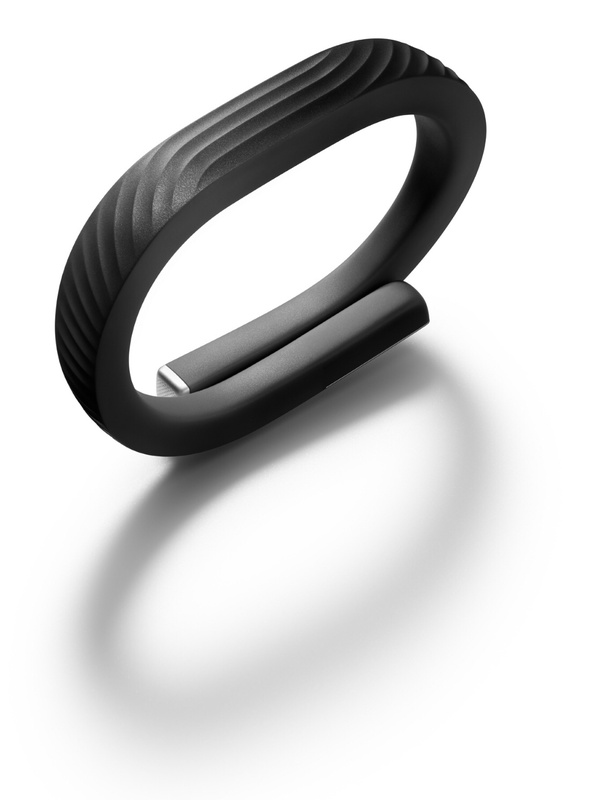 And it’ll be interesting to see how far Jawbone, which is presumably working on next-generation hardware, can take it.